Do you remember Career Days from when you were a kid in school? Or at least a very special episode of Boy Meets World in which they had a Career Day? Your mom or dad came into school to talk about what they do all day and the kids in the class got exposure to the world of work. In the TV version, the kid in the show would usually get all embarrassed about his or her parent’s job only to learn a valuable lesson about hard work and sacrifice. Beyond that lesson, the idea behind Career Days is for kids to learn about the possibilities. Even though kids have fantastic imaginations, they realistically can only aspire to be what they know. It’s with these examples of what kind of careers are out there that kids can build on that and think about the future. It’s dreaming with a touch of guidance. That constant exposure to new ways of making a living is important for adults too. How many times have you heard a college bound student get asked “What are you going to do with that major?” There’s a multitude of different jobs you can qualify for with many different college majors, but for some reason we tend to narrow our focus to a short list we developed at age 5. We don’t know what we don’t know, and it’s important to keep learning. As an example, I had never even heard the word “humorist” until I was 32 years old… 32! And now that’s what I do for a living. The career coach/higher ed gig constitutes more of the living at this stage. But humorist is still part of my professional line up. Oh and higher education professional and career coach? I certainly didn’t know about either of those professions until college and graduate school respectively. How Do We Explore Careers? So how do kids and adults learn about all the career options available to them? There are lots of ways, but one of my favorites methods of career exploration is by way of the paperback. Or hardcover if you’re fancy. 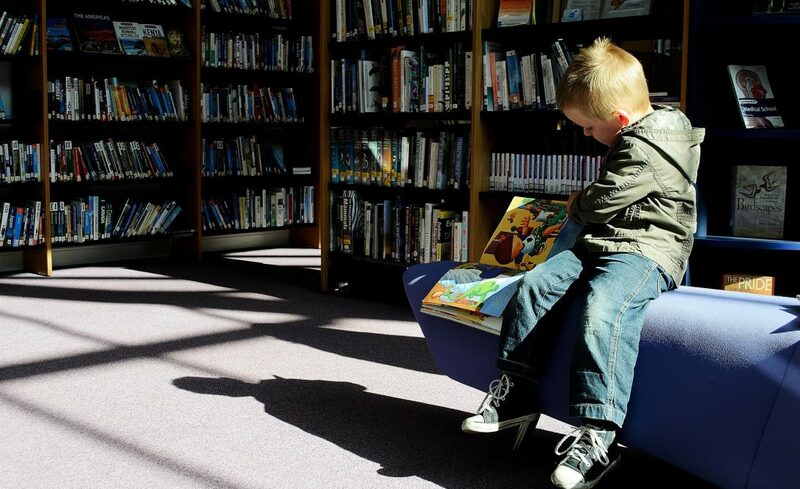 Books provide a window into the world of work and have the power to educate, inspire and motivate. Books are, in a word, amazing. I love them. Give me all the Reading Rainbows. It’s all totally in a book! 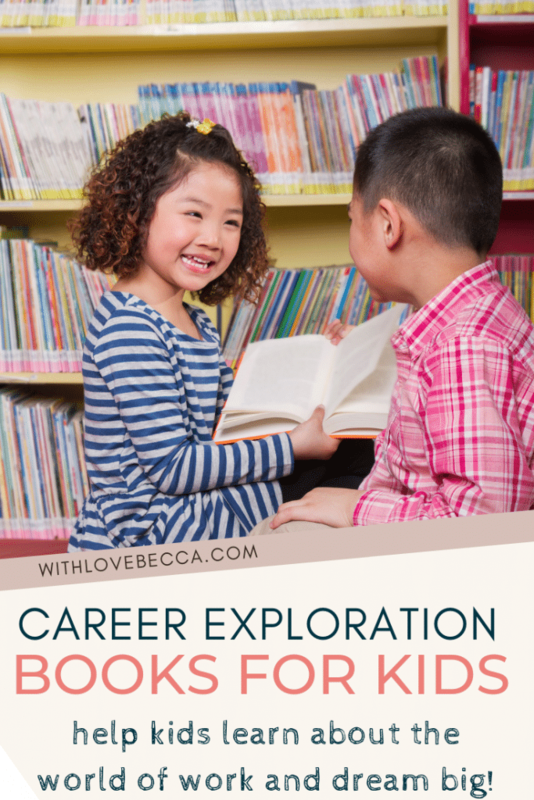 So we’re going to do a two part series on career exploration books for kids and for adults that encourage us all to think about all the possibilities and stretch our career muscles. 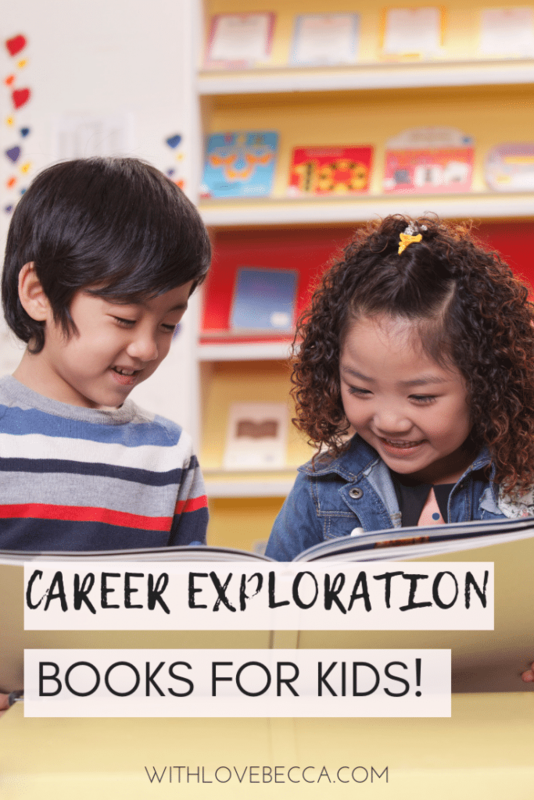 We’ll start with career exploration books for the youngin’s! Ada Twist, Scientist is one of my favorite books. Full stop. It’s adorable and rhymey, but also gets right down to brass tacks about how to help kids learn and develop their career interests. Where does that all start? With asking questions! Lots and lots of questions. Young Ada has lots of questions about how the world works, and while it can sometimes drive her parents bonkers, they learn to embrace this quality as the mark of a great future scientist. Exploring the world, exploring careers. LOVE IT! If you like Ada Twist, Scientist see also Rosie Revere, Engineer and other fantastic books by Andrea Beaty and David Roberts. My kids received What Do You Do With an Idea? for Christmas and I got really intense about it. They enjoyed it too, but my career coach pep talks that followed each reading probably could have been toned down. The concept of this book is that your ideas are part of you and while they may be scary to share with others, they could change the world. The idea is represented as a character instead of something intangible which brings so much life to the thoughts bouncing around in our heads. What Do You Do With an Idea? is one of my favorites because while the other career exploration books give concrete examples of possible jobs that already exist, this one is like an intro to entrepreneurship. Kids are super creative naturally, and What Do You Do With an Idea? helps encourage that instinct. The pros of What Do People Do All Day? as a career exploration book for kids – it shows the characters doing a range of different jobs and earning money to buy things. It’s great for the “money doesn’t grow on trees” message. What Do People Do All Day? also shows how people work in different environments and how their work can be interrelated with others. The cons – this book was written in the 1950s so be prepared to switch up some pronouns on this one if you want to avoid the intense gender norming. All of the female characters in What Do People Do All Day? are homemakers with the exception of one nurse. There is nothing wrong with either of these jobs – at all! But I would like to see some female representation in the other jobs they talk about too – a police offer, shop owner, construction worker, etc. Maybe they will do an updated version with a stay at home dad and a female chef. I’d buy that. Switching gears, A Is for Awesome! : 23 Iconic Women Who Changed the World is all about breaking down the glass ceiling. Kids learn about Amelia Earhart, Malala, Beyonce, Georgia O’Keefe, and other ladies out there crushing it in their respective fields. The pros of this one are twofold. 1) Kids can do some serious career exploration by seeing the options available to men and women. 2) Young girls in particular get exposure to female pioneers and role models. Plus the illustrations are fantastic and the book includes quotes from many of these accomplished women. Two enthusiastic thumbs up! We won a set of the Who Was? chapter books from the local library and they are amazing. The Who Was? books are mini biographies of famous athletes, scientists, explorers, actors, and politicians. Each book starts with a quick overview of “Who was (insert name here)?”. Then they dive into the details of the person’s life and how they worked hard to achieve their big career goals. My 4 year old’s favorites from the Who Was? series so far are Who Was Neil Armstrong? and Who was Marie Curie? Perhaps we have a STEM enthusiast in our house? In any case, exposure to chapter books AND career exploration. That’s a win. This wouldn’t be a post about career exploration books for kids without some Seuss. Sure Oh, the Places You’ll Go! doesn’t outline a specific career path, or even give any concrete options for career choices, but that’s not the point. Oh, the Places You’ll Go! teaches kids about trying, failing, and trying again. And when a kid learns from his mistakes, takes chances, and goes after his dreams – well, that kid is going to move mountains! He also might tell you “Mommy, you’re only a little bit of a failure. Daddy failed a lot.” But that’s a story for another time. As much as I love these books, there is an area of career education for kids that I don’t see addressed very often. What happens when you aren’t really sure what you want to be when you grow up? What if you have an idea but then you change your mind? 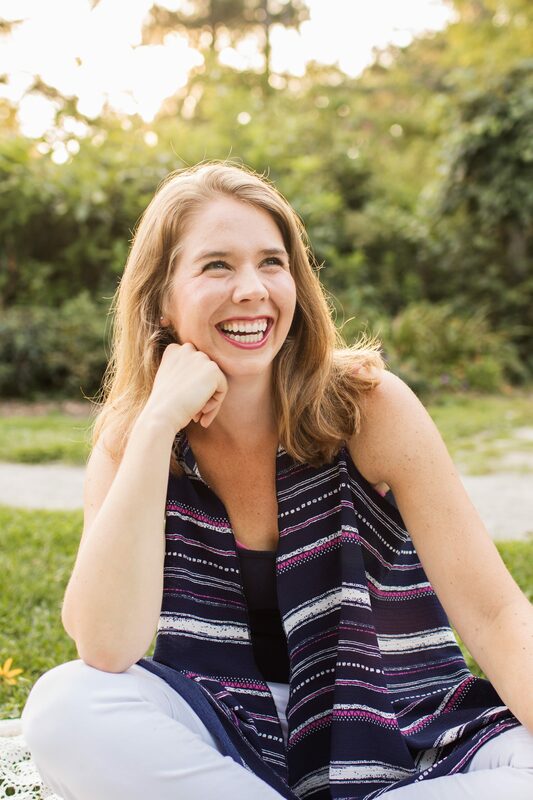 So to the kid who has a knack for making people laugh, the kid who wants to know how things work, the kid who has an ear for music, and the kid who has absolutely no idea what she wants to be when she grows up – there is a career out there for you. Maybe several careers over your lifetime! Figuring how what you want to be when you grow up is a lifelong process and exploring the possibilities is all part of the fun. 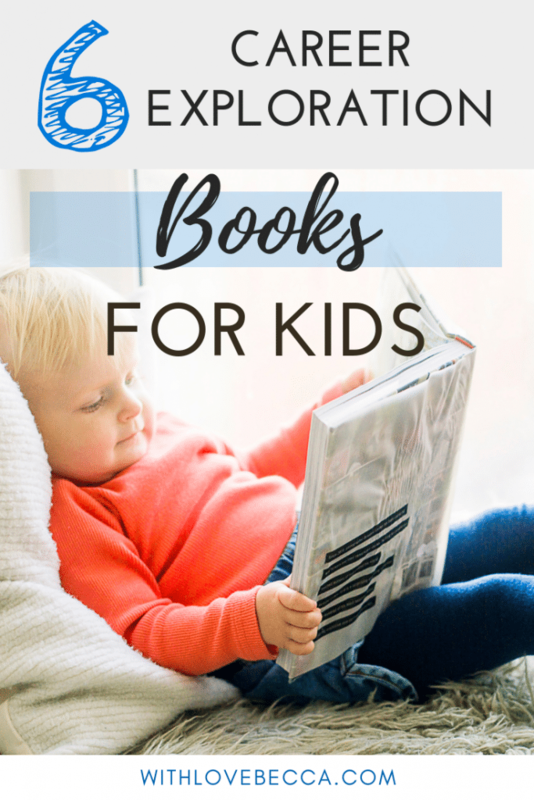 Get your kiddos started on the journey of career exploration with some of the books from this list, and let me know if you have other favorites! Stayed tuned for Part II and some books for the grownups. Do you have a deal???? ?